TLV_8.2.14_213, a photo by millikatz on Flickr. וואלה , originally uploaded by mati_bortnick . 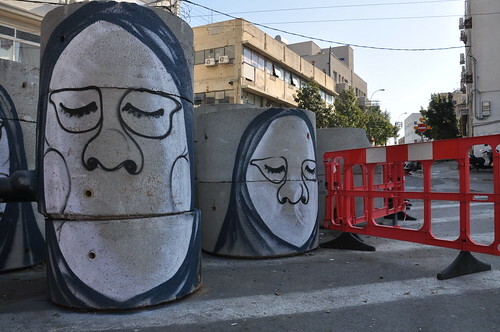 Tel Aviv Graffiti / Street Art , originally uploaded by ! INSPIRE ONE ! . ...artist unknown on the streets of Tel Aviv. TLV_1.10.11_049 , originally uploaded by millikatz . TLV_8.2.14_142 , a photo by millikatz on Flickr. NACO / SNARE / MAS on HaYarkon St.
TLV_29.2.14_242 , a photo by millikatz on Flickr. Gabi ashkenazi | ha-kirya | Tel Aviv , originally uploaded by dede.confidential .